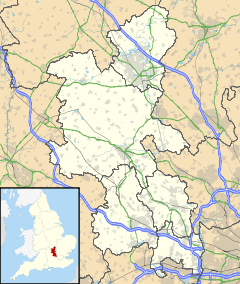 Botley is a hamlet in the civil parish of Chesham, in Buckinghamshire, England. The hamlet name is Anglo Saxon in origin, and means Botta's Clearing. Botley includes the Hen and Chickens public house, Botley Stores shop (which closed permanently in April 2017) and Goose Acre pond. Most of the houses in Botley are on Botley Road. Botley is divided between the civil parishes of Chesham and Latimer. Botley merges into the village of Ley Hill. ^ Ordnance Survey: Landranger map sheet 165 Aylesbury & Leighton Buzzard (Thame & Berkhamsted) (Map). Ordnance Survey. 2012. ISBN 9780319229163. This page was last edited on 5 September 2018, at 12:52 (UTC).